Alter The Press! : ATP! 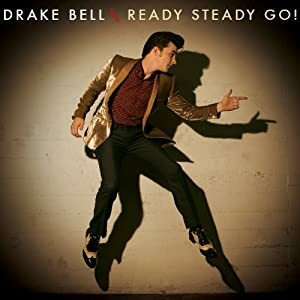 Album Review: Drake Bell - Ready Steady Go! ATP! Album Review: Drake Bell - Ready Steady Go! Transitioning successfully from children’s television star to serious musician is no easy task. Drake Bell, best known for his character on Nickelodeon’s Drake and Josh, has been fighting that battle since 2005. He has an impressive amount of work under his belt, from the show’s theme, “I Found A Way,” which he co-wrote and performed, to three full-length studio albums. His latest, released earlier this month, Ready Steady Go!, shows that Bell has grown significantly as a singer/songwriter. The album has a vintage rock feel with a cool, poppy edge that’s sure to appeal to just about any listener. The opening track, “Sunny Afternoon,” is a slick jazz-pop hybrid, full of trilling piano notes and a steady beat. Bell’s voice is capable and deft, and there are clear elements of jazz, blues and old school rock-n-roll woven into Bell’s songs. “Sunny Afternoon” does feel quite like a sunny afternoon, perhaps spent on the back porch of a local piano bar in the August haze. “Bull” follows, further emphasizing how many genres Bell has incorporated with a distinctly country, bluegrass feel about it, underscored by a dance hall beat. The track has a fantastic pace, clever and quick guitars, as well as a big chorus with layered group vocals, making it one of the stand-outs on Ready Steady Go! “I Won’t Stand In Your Way” goes for the ballad route, feeling like a blast from the 50’s with a guitar and piano-driven beat matched with Bell’s soft croons. “Bitchcraft,” the album’s single, is catchier than it has any right to be. Bell opens with the line, “I didn’t know you collected souls” to begin his rebuking of a cruel lover who played one too many games. Bell lets the track loose with a full bridge featuring jazzy riffs layered over a steady drum line. “Runaway Boys” follows the momentum from “Bitchcraft,” though picks up a 60s and 70s sound. “Makes Me Happy” intelligently provides a palette cleanser halfway through the album. It’s more of a generic pop song with a beat that’s easy to snap to, as well as bright lyrics that act as a great pick-me-up. “It’s Still Rock and Roll To Me” plays on the pace established in “Makes Me Happy,” adding a more genuine feel with the help of a rock-n-roll (naturally) and country aesthetic. “Melina” features simmering guitar riffs and a grittier vocal performance from Bell. As a whole, this track is one of the best regarding his voice, and there’s something about it that feels honest and true to Bell as a songwriter. Some of the other tracks have a tendency to feel like a boy trying on his father’s suits, but in “Melina,” Bell sounds as though he has discarded the costumes entirely. “Melina” is an accomplished track with pop hooks and rocker riffs, choruses big enough to pull the listener into singing, but no so large Bell becomes lost. It’s a particularly bright spot on Ready Steady Go! The following acoustic-based cover of “Crazy Little Thing Called Love” has been done a thousand times before, but Bell handles it well. He’s not reinventing the wheel, but he’s sure as hell giving it a good go. “California Man” is a delightful, swingy track –the sound is huge, but not overwhelming, and so wonderfully textured. Like in “Melina,” Bell again proves his validity with “California Man.” “Back Of My Hand” is about a girl who’s spurned Bell, and it falls away from the magic created between “Melina” and “California Man,” though it’s still a nice little track with a good deal of energy. The album closes on “Give Me A Little More Time,” a moody, emotion-driven ballad. The authenticity is back and the stripped-down sound is nice after so many elements being used simultaneously in previous songs. Here is Bell’s chance to show a different kind of vocal chops, and he follows through with the tale of heartbreak and longing. At no point does the song take itself too seriously, adding to its charm. It’s honest and doesn’t feel manufactured, an issue that some of the other songs run up against. “Give Me A Little More Time” is a lovely close to Ready Steady Go! In his third studio album, Drake Bell shows an undeniable amount of capability as a musician, drawing from nearly all genres and eras of music to create his own unique sound. Ready Steady Go! is out April 22nd via Surfdog Records.